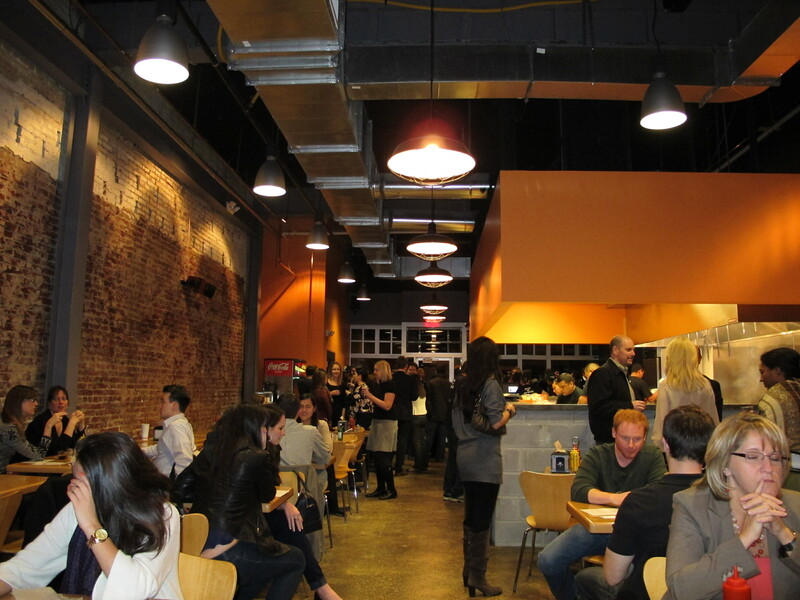 Last night, Black & Orange, the new burger joint on 14th just south of U Street opened. 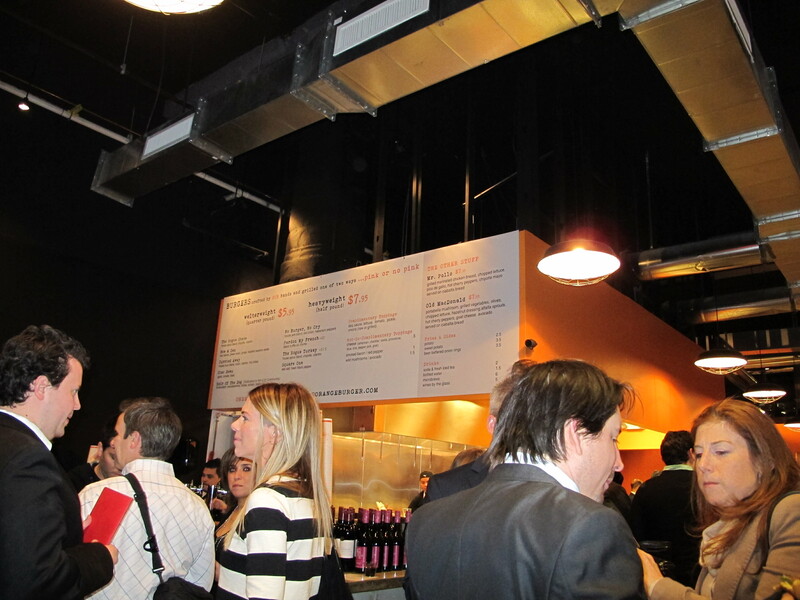 I swung by the opening party (yes, they were kind enough to invite me) and checked out the space. It is pretty large, with ample seating. I dig their minimalist decor. Checkout after the jump for a few more photos. Really disappointing! Of all the burger places in DC this one falls to the bottom of the list. Was hoping it would be a good addition to our neighborhood. Their thing is “pink or “no pink.” You would think if that’s what they are using as their marketing gimmick that they would get it right….Welll WRONG. I ordered a pink burger and got “no pink.” I also ordered it with bleu cheese and got about 3 sprinkles of cheese. 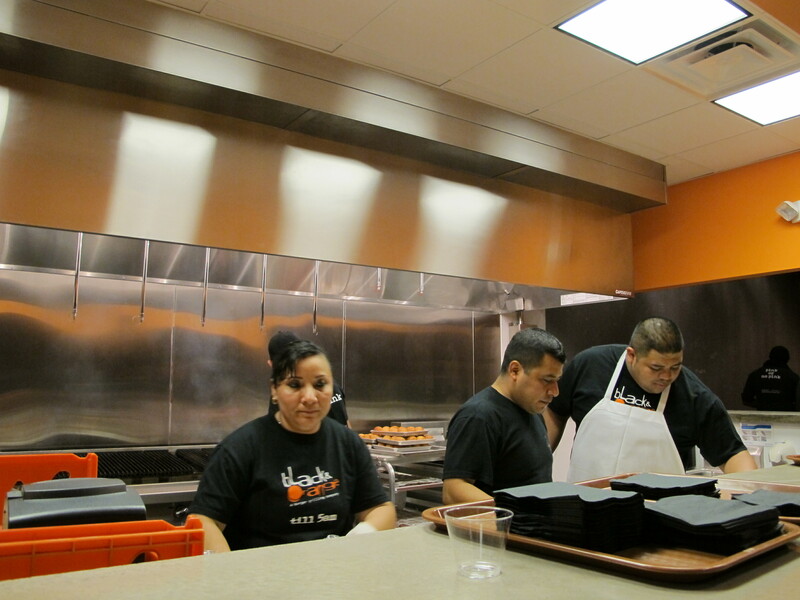 The fries….not house cut but probably Sysco. And certainly not Five Guys volume of fries! I think they are still working out the kinks. I had the reverse negative experience on Friday. Asked for no pink and it was raw. They only had one guy maning the grill and everyone else trying to figure out what to do. They weren’t equipped for larger crowds. Hopefully they can get organized and focus on better quality. I’ve been twice now, and happy with both experiences. The earlier poster is correct that the fries are a smaller serving than Five Guys, but I’ve often found Five Guys’ fries to be soggy, while those at Black & Orange were fine. (I appreciate that they offer sweet potato fries but since I don’t like them I won’t order them so I can’t say if they are any good.) Each time I was there I’ve ordered my burger No Pink and it was just right- a nice little char that was very tasty. I’ve also gotten two different burgers types and added my own toppings. Each was very good. This place is close enough to take it home to eat – I’ll be back.